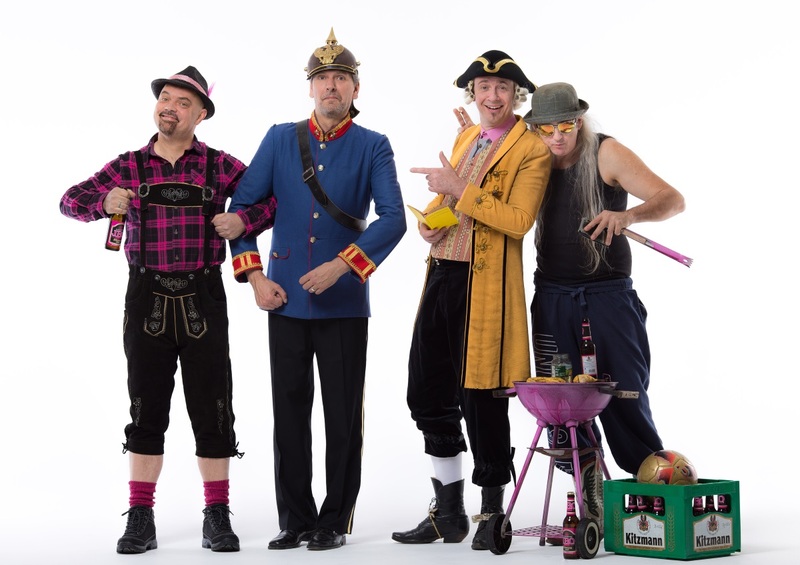 The weird bards are back, JBO from the Frankonian Erlangen. Eighteen months after simply called “11” album the dozen will be made full. With “Deutsche Vita” they start the next attack on the funny bone of the nation. “We have worked with some songs that are very important to us personally. 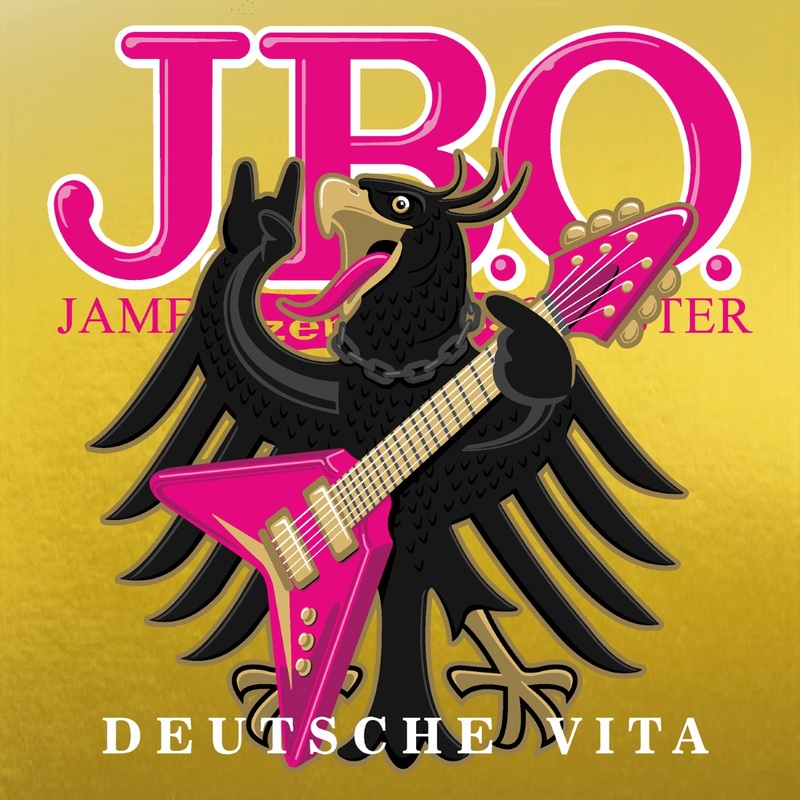 At the same time, the song and its meaning for us and the German music scene were very much in the foreground, “the band said about the peculiarity of” Deutsche Vita “. Will the musicians grow up one year before the thirtieth anniversary of the band? Let us to the just under three quarters of an hour “unusual melange of hard rock music and witty humor”, as it is to read in the press release the album. “Alles nur geklaut” (Everything just stolen), this covered hit of the prince from the year 1993 sounds like the motto of J.B.O. After all, the cover songs are the band’s trademark. Frequently musically revised, with more or less changed texts. Or as here, completely rewritten with a strong self-ironic impact. Even older is the original of the next song. The then still living in the GDR Nina Hagen has in 1974 equal to her debut a smash hit. At J.B.O. but it is not the forgotten color film (who knows something else?) but the smartphone. And the Neue Deutsche Welle (NDW – New German Wave) is not safe. So here is “Ich will Spaß” (I want fun) by Markus (1982) cheerfully heaved into modern times. With the Lummerlandlied then childhood memories are awake (Augsburger Puppenkiste: “Jim Knopf und Lukas der Lokomotivführer”. And again the NDW has to serve, for “Wer ist der Fahrer” (who is the driver) (Spliff “Carbonara”, 1982). One year younger is “Nur geträumt” (Just Dreamed) by Gabriele Susanne Kerner, better known as Nena. Also “Blaue Augen” (blue eyes) has its roots in the time of the NDW. The song by Ideal (1980) was arranged as a reminiscence of a very big rock star. The vocals are clearly reminiscent of Lemmy Kilmister (Motörhead). Really just stolen everything? No! “Deutsche Vita” (German Vita) is just like ” Gewiss Ist Nur Der Tod “ (Certainly Only Death) an original composition of the band. Here, the exaggerated German national pride is taken with a wink on the face. ” Karneval In Sodom “ (Carnival in Sodom) sounds extremely chaotic. Or is it better to say like thrash? After all, the original is from Sodom (“Bombenhagel” – Bomb Hail 1995). After the soundtrack of a puppet doll series also animated is quoted with “Wickie (Wickie und die starken Männer – Vicky the Viking). Before it continues with the New German Wave – “Hurra Hurra Die Schule Brenn” (Hurray Hurray The School Burns) (Extrabreit 1980). And another great German rock musician is covered here, Udo Lindenberg with “Grande Finale” (1982). The already mentioned ” Gewiss Ist Nur Der Tod “ (Certainly is Only Death) is a bonus track, as is the live recording of ” Fränkisches Bier“ (Franconian Beer) (“Griechischer Wein“ – Greek Wine by Udo Jürgens, 1974). I had a great time listening to the album. The lyrics are just worth listening to, but are partly also thoughtful. And also musically, the quartet shows a class performance. The Franks once again show that you should not always take rock and metal seriously. Of course, they polarize the nation. At least I like it. And the nine points that I have forgiven, reward clearly the fun factor of the album.